A couple of years ago, I did something a little bit naughty. I bought myself a gift, and pretended it was a Christmas present to my son. What I bought was an Isle of Lewis chess set. It was my dad who taught me how to play chess. Back in the 70’s, families spending their nights playing board games against each other seemed a lot more common than now. I have a lot of fond memories of playing against my dad and my brothers. It was not until years later that I realised none of us were very good at it. I have since casually devoted quite a lot of time getting better. I still get caught up in the imaginative process of it. Regardless of what is actually happening when I play chess, I usually see myself as being something like this. Living where I do, finding actual people to play against (as opposed to a computer) has proven extremely difficult. While I didn’t really have children just to make someone to play against, I am certainly not prepared to let the opportunity pass. At the start of the year, I fielded the idea of a chess club to the local homeschool group. After a positive reception, a bit of searching, and a number of strange phone calls, I managed to pull together a teacher, a room, and a group of around four to eight kids who were prepared to play. The classes always struck me as eccentric experiences. Our teacher was a retired primary school headmaster who thoroughly disliked the way maths was taught in school. He never cared in the least that none of the kids he was teaching actually went to school. As long as they were improving their game, he was happy. He liked the application of maths in context, as well as the flow on effects that learning chess has. The class would start off with a lesson for about half an hour on movement or tactics, and then everyone would play a game or two. Our teacher would head off once everyone was settled into a game. I have never been to a chess club before this one, but I always saw them described with words like ‘quiet’ and ‘intense.’ These were absolutely raucous affairs with everyone talking (and occasionally arguing) at once, while smaller kids ran in and out and under the tables, occasionally chased by their mothers. As the various games finished, this freed up more kids to join in the mayhem. None of these classes ever finished neatly. I like strategy games a lot. Whether they are complete abstractions, such as chess or go, or battlefield recreations (of which there are thousands of varying quality) I think there is a lot of real life applications in these types of games. 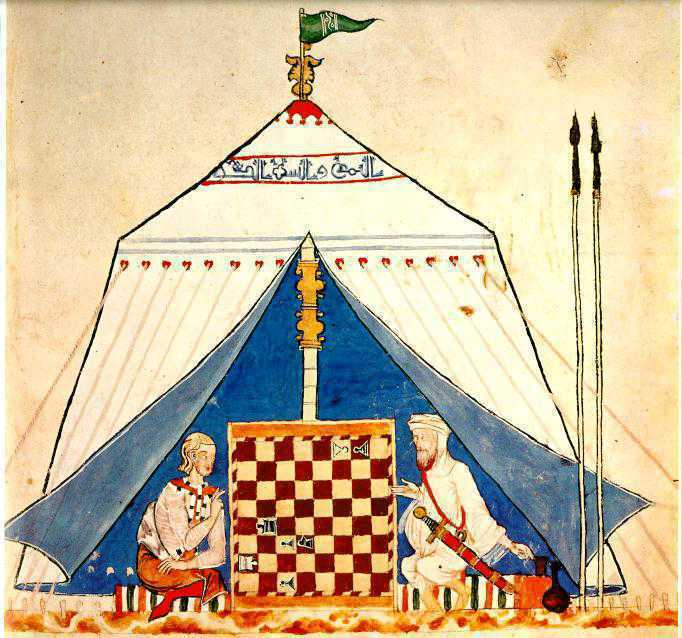 A very old game which has adjusted itself to various times and places, a study of the history of chess shows some interesting insights into the different cultures which adopted it. It has also provided rich veins of social commentary, both in the past, and today. 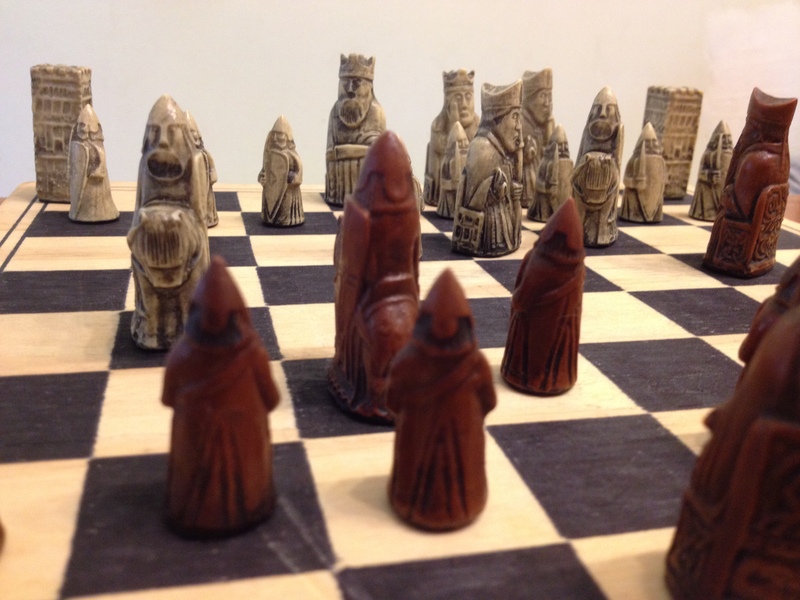 Chess, or any decent strategy game, provides people with the opportunity to play with important ideas. Patterns are obviously important. How do pieces move, and how do they relate to everything else on the board? Counting is important. Each piece is weighed differently. Who has the advantage in numbers? Is the cost of what I am about to do worth the objective? Planning is obviously critical. If I am forced to move and there are three safe squares I can get to, then what is the best choice? How can I force my opponent to do something they don’t want to do? Why did my opponent chose that move over any other? At some level it drifts away from even tangents of maths and into some more philosophical realisations. Depending on how things are arranged, it becomes possible to go places and do things which appear dangerous at first, but are really quite safe. With some objective observation and a calm head, it is possible to turn a seemingly impossible situation into an advantage. Lastly, regardless of how imbalanced the board is, when the king is captured, it is all over. All these thoughts are used in real life situations everyday. It is good for kids (and adults) to have a good understanding of them. I got a phone call the other day from our teacher. In a friendly, slightly embarrassed and kind of roundabout manner, he told me that he just didn’t have the enthusiasm to keep turning up. The chess group folded pretty much on the spot. The drive for us to go to these classes very definitely came from me rather than my boy. He often did not concentrate very well, and invariably rushed through his game so he could run around outside with his mates afterwards. I played a couple of games with him at home today and it surprised me how much he had learned. He had a basic strategy, was keeping score, watching which lines were open or closed, setting traps, and calculating the value of groups of exchanges. I was really impressed. With no official classes, things will probably plateau here for a while. I am a bit disappointed, but not overly concerned. He is only six. I have no doubt that chess and related games will be an ongoing theme for many years to come. This entry was posted in Math and tagged bloke, board game, chess, history, homeschool, imagination, learning in context, life experience, math, philosophy. Bookmark the permalink. We have been playing a lot of Risk recently. It is fantastic to see the grasp of strategy increasing in Connor as a result. I have always felt like the art of strategy is a useful life skill. I haven’t played Risk in ages, but it is a really good game. Glad to hear Connor is learning from it. Great post! My husband plays chess with our two daughters and two sons. I play Scrabble, Upwards, and Blokus with them. I really should learn how to play chess. That’s great! If he is teaching others to play, then he is obviously getting something out of it. Oh, he really knows how to play. =) Enjoyed your post.